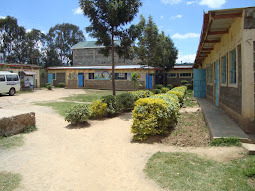 The origin of Bran-Den Junior school began as a brain wave that turned into a dream that eventually turned into a passion for the school director to restore hope and a sense of belonging to the children of the victims of the post election violence in 2007 in Kenya. Many people were displaced from their homes, others lost their loved ones and sole bread winners, others lost their source of livelihood and income among others. The director had just purchased a piece of Land in Naivasha district in June 2007 but on the secure side of the district away from the core of the violence. Naivasha District was one of the major affected areas of this violence. One day while sitting in her house watching the on-goings of the violence then on TV, she felt an urge to do something for these people. Its at that point that the brain-wave of starting an affordable educational instituion struck her. With her background as an holder of a degree in Education and experience in lecturing, couselling, management, project management and strategic planning among other things, she resigned from formal employement in November 2008 to start the school. Established in 2009, Bran-Den Junior School is wholly owned and managed by the school director who is a seasoned banker, educationist, strategic planner, counselor and ICT professional. The director has previously held various management positions with leading organizations and financial institutions in Kenya. She has been instrumental in various company and educational facilities strategy formulations and implementations. This gives the school the comfort of sound and professional management. The school has a pre-school (baby class, nurserly and Pre-unit) and a primary section (Class 1-8). The school offers facilities like computer classes, swimming, boarding, ball games, athletics etc. The school is equipped with comfortable sitting arrangements and equipment for both the children and the school staff. Each classroom accommodates 20-25 children with enough, ample walking and sitting space for each student. Each class has a desk and chair for the class teacher who has a one to one section with different students. This gives the teacher the opportunity to know the weaknesses and strengths of each student therefore providing the necessary assistance to the students for their success and that of the school as a whole. The school’s mission is "To raise students with sound character in order to gain both academic & information technology skills for self fulfillment and national development through the provision of quality affordable education to both the able and the less fortunate in the society”. The school’s vision and road map is to offer secondary and tertially training and education in the foreseeable future, starting with Secondary school education in the next five years. Below is a picture of Bran-Den Junior school in 2008. 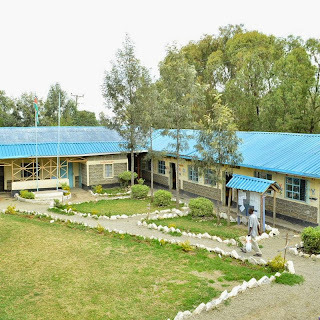 Bran-Den Junior school is achieving remarkable growth and making a difference in the Naivasha education sector and the community at large and ultimately Kenya as a whole. 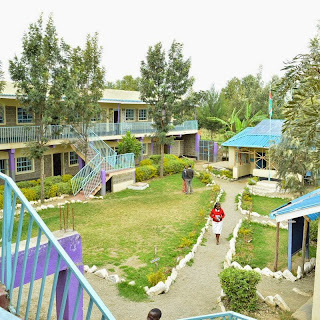 From a population of 15 pupils on 12th of January 2009 when we opened doors, the school now has over 100 pupils, 5 of who are needy bright children and whose education and upkeep the school sponsors directly. Your support of this gesture through your prayers, moral and material support would be very welcome. Marketing the school on our behalf to parents who are able to bring children to the school will also go a long way in creating needed financial capability to continue supporting the needy children in the community. Schooling at Bran-Den Junior School is a great experience for everyone from its facilities, Christian foundation, Experienced and dedicated staff and the support from whole community. Donors of brilliant needy children are invited from all over the world either as individuals, Private and Public organizations, churches, NGO's etc. By cheque: Bran-Den Junior School cheques can be sent to the Director, Bran-Den Junior School, P.O. Box 2136, 20117 Naivasha, Kenya. By wire transfer to Bran-Den Junior Bank: Please write to Bran-Den Junior by filling out the contact form here to get the bank details if you wish to make a bank-to-bank wire transfer. By phone : Use Mpesa paybill, Business Number 247247, account number 0200293254617. Please forward the Mpesa confirmation message to the school numbers +254(0717)655382 or +254(0738)138538. You will receive a call from the school to confirm receipt of your donation immediately.